Find the yoga class that’s right for you! Filter your search by yoga style, time of day, or level. See an interesting class? Favourite it to add it to your personal calendar. An all round vinyasa flow class. The class will be dynamic as well as passive, relaxed as well as energetic. Careful attention to posture, alignment and most importantly the breath will be focused on. I aim to challenge the aspirant by making careful adjustments through the use of breath as you will be able to surrender to asana's with a sense of control, stability and ease. ONE-ON-ONE naked yoga class or together with your partner. Do not miss this sensual experience! You can choose any time you wish from 7am in the morning till 6pm Monday to Friday. Book your session on If you wish some other time or weekend, please do not hesitate to contact me on See you soon! Make the most of the day ahead with this uplifting and energising vinyasa flow class. Open to all levels, the class is ideal for developing strength, balance and flexibility while helping to focus and calm the mind. A perfect way to start your day. Fun, creative yoga for adults using breath to flow from one posture to another. Focus on alignment and building strength, stamina and mobility. Due to the smaller studio space, this class runs as a termly course. Any missed classes can be made up at any of the Balham Drop in classes at any time during the term. An open class for mixed ability levels. The style varies according to the student population, sometime strong, sometimes flowing, sometimes recuperative. Always fun and aimed towards establishing good postural alignment and movement efficiency. Fun and informal classes combining the traditional Hatha postures with a dynamic element that creates a lovely flow of vitality and spontaneity. You will feel healthy and refreshed! Where: Brentside High School, Greenford Avenue, Hanwell, London, W7 1JJ. Free parking. Sign in at the gate near the football pitch. Classes are limited to 10 people, please call or email to confirm availability. Some yoga mats and equipment are provided but please bring your yoga mat or let me know if you don't have one. The classes are suitable for anyone with an interest in yoga. Please wear comfortable clothing but not too baggy and try not eat before the practice. Please let me know if you have any specific health conditions such as high blood pressure, slip disk, recent surgeries, back pain, stress or any concerns regarding joining the class. Viniyoga suitable for all abilities. Mindful movement and awareness in body, breath and mind. a mellow morning session, with a strong dynamic element and a longer than usual restorative relaxation to finish. 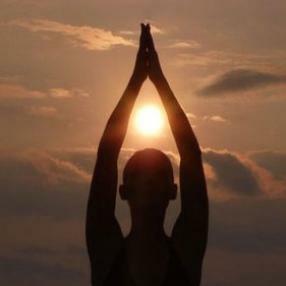 Increase your energy level and enliven your sense of awareness with a very comprehensive form of yoga, that blends both posture and flow based exercises, breathing techniques, meditation, deep relaxation, yoga nidra, chanting, mudras (hand positions), and tuning in. All of these are merged intochoreographed exercises called kriyas that open up energy flow in the body,channeling it in a way that has specific effects. It works on different layers,physical and non physical bodies. This type of yoga balances and purifies all of the systems of the body, calming and sharpening the mind. The classes are suitable for any level. £110 for 10 weeks pack. £60 for 5 weeks pack. Space is limited. Book your class to avoid any disappointment. Mats are provided. Bring a shawl for deep relaxation and a bottle of water. This class is based on the teaching and practice of New York's renowned yoga master Sri Dharma Mittra. The essential qualities of Dharma’s teachings are imparted to the students through the Shiva Namaskar Vinyasa, a flowing sequence which is both physically and mentally challenging. The practitioner develops strength through a series of balancing poses, twists, backbends and inversions, enabling prana - the vital life force to flow freely through the spinal column and emanate deep into all areas of the physical, metabolic, intuitive and bliss bodies. The class will conclude with some pranayama exercises and a short meditation. This is a challenging class and will incorporate advanced asana. This class is designed to help anyone suffering from back pain or a weak lower back and needs to strengthen their core and improve flexibility. We will engage in a variety of counter postures of forward, backward & side bends to make the spine and back more supple and elasticated. A range of other specific asanas will be employed to deal with other defects and conditions. 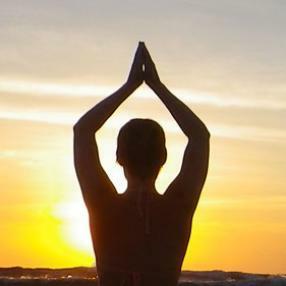 Scaravelli inspired yoga is a stress free yoga, that benefits everyone. It’s a gentle yet demanding form of Hatha yoga, which concentrates on developing core strength through releasing tension and creating length in the spine. It uses the breath and gravity to allow the spine to unfold like a wave, allowing the uninhibited opening and energising of the whole body. Classes are suitable for all ages and all levels of yoga experience. Regardless of your level of fitness, you will discover a longer, stronger and more flexible spine, a calmer mind, and begin to enjoy increased energy and ease of movement. 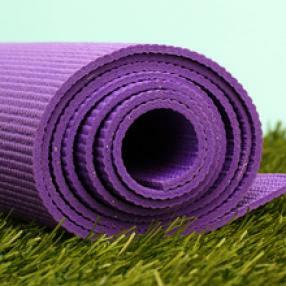 Yoga Me Happy offers a restorative yoga class for the "overs" catagory every Thursday at St Lukes Church, Enfield. The classes are donation, so please pay what you can, but the suggested amount is £5. Get a spring in your step, with a class that will lubricate the joints, ease and strengthen the muscles and focus on bringing you back to balance. Friendly naked mixed ability yoga class for gay men and their friends in Vauxhall. This class is perfect if you've never done yoga before but have a reasonable degree of physical fitness, or if you have an existing practice but want an opportunity to develop and grow. I give clear easy instructions in layman's language (no sanskrit or chanting in my classes), and we focus on key postures, breathing, developing strength and balance. You'll learn to connect mind and body and develop a deeper understanding of your own physicality. No prior experience is necessary, and the class is friendly and fun. This is a naturist class so no clothing please, no exceptions. A water bottle and a towel if you choose to. Life sometimes puts unavoidable delays in our path, and if something means you'll be late for class please don't worry: you're welcome to join when you arrive (within reason!) . All I ask is that you let me know so I can prepare a space for you and let the other students know. This class is advertised on several meetup groups and elsewhere. The attendees list on this event is not representative of the actual number of attendees. Classes are often busy, so to guarantee your place please pre pay using the link below. Signing up on Meetup does not necessarily confirm your place. Please arrive at 3.00pm to get settled and ready to start promptly at 3.15pm. The class is weekly, every Wednesday afternoon. An interactive class where we learn yoga poses, breathing, alignment and posture using games, sounds and movement helping develop body awareness, co-ordination, creative expression and motor skills. For kids aged 4 to 10 years old. Class is limited to 10 kids please reserve your space. Where: Studio 1, The Pamela Howard School of Dance, 141 Broadway, W13 9BE. Please note: Entrance from the rear pf the building! Why Yoga for your Child? Yoga can help your Child develop and flourish. These classes are fun and specifically designed to grasp their attention and imagination with a theme for each class. Your Child will learn about healthy breathing, sitting and standing tall, unravelling their spine and recognizing emotions and sensations in their body. We use specific sounds, songs and mantras to develop their sense of wellbeing and to feel happy and relaxed. This class is ideal for beginners as well as more advanced students wanting to review the fundamentals of yoga. Our friendly and knowledgeable teacher will guide you through gentle yoga sequences with an emphasis on correct alignment and proper breathing techniques. A great way to discover the many benefits of yoga practice. Yoga for expectant Mums from 15 weeks pregnant to birth. These classes involve specially adapted yoga asanas, micro-movements, breathing, chanting, relaxation, birth preparation and sharing, in an informal and lighthearted setting with the emphasis on self-nourishment. All InJoy! pregnancy yoga classes are Birthlight yoga classes and thus apply yoga therapy principles that alleviate symptoms and may relieve causes of most common ailments experienced during pregnancy. Birthlight was founded by Dr. Francoise Freedman for the greater enjoyment of pregnancy birth and babies! Birthlight was established as a training body and charitable trust in 2000 and now operates across most continents! Francoise Freedman first began her pioneering classes in 1986, so 14 years of research forms the foundation of all Birthlight training. We have built our reputation on providing safe yoga practices that nurture mother and baby alike, and everything we teach is underpinned by evidence-based medical and scientific advances in pre and neonatal neuroscience. What you learn in class is designed to help you know your body better so that when the big birthday comes, you know exactly what works for your body in order to help your baby be born gently, consciously and with minimum intervention. Birthlight yoga is taught only by highly qualified specialist yoga teachers who have completed the Yoga Therapy recognised Birthlight Perinatal Diploma which takes a minimum of 12 months to complete. Continuing Professional Development is a prerequisite of continuing Birthlight membership. All Birthlight pregnancy yoga teachers who teach for InJoy! are personally mentored by Rozy Kalliabetsos, founder of InJoy! and Tutor for Birthlight. Rozy trains yoga teachers, midwives and birth professionals around the world on behalf of Birthlight, and is co chair of the CUH (Croydon University Hospital) MSLC (Maternity Services Liaison Committee). Needless to say, InJoy! teachers are all fully insured and hold valid first aid qualifications. We are recognised by the CNHC (Complimentary & Natural Health Council), which is the only body that NHS professionals are able to recommend, and Birthlight is registered with FEDANT. Carefully adapted classic yoga postures, breathing exercises and relaxation techniques that promote harmony, joy, trust and self confidence. * Ease the common aches and pains associated with pregnancy (back pain, pelvic pain, sciatica, sleeplessness and breathlessness, swollen joints etc). * Promote harmony, trust and self confidence to ease fear, anxiety, stress and depression. * Understand the clever role of your hormones during pregnancy and birth and how to make them work for you! * Learn breathing techniques to relax body and mind and relieve pain during labour. * Deep relaxation for better sleep during pregnancy and more energy! * Nurturing through massage and partner work to increase trust in your care team and learn practices you can try at home with your birth partner. * Align, tone, open and strengthen your body in preparation for birth. Discover how to tone or relax more, dependant on your individual needs. * Learn the art of relaxation and life saving tools for pregnancy, birth and parenthood! * Deepen your understanding of your body and how it works through learning more about the female pelvis and the variations in shape that can influence both how your baby 'presents' at birth and how the labour progresses. * Everything we offer is to empower you to make the birth and care choices that are right for your family. * Visiting midwives, doulas, maternal reflexologists and holistic therapists all come and enjoy the class with us, and offer you tips to make your pregnancy and birth more enjoyable in every way. Our Tuesday evening classes are open to fathers and birthing partners to attend, on a termly or ad hoc basis, for an extra £6 per class. Please note that antenatal yoga classes go under the banner 'antenatal care' for the NHS which means you are entitled to PAID time off work to attend. If you work locally you may want to benefit from our lunchtime Wednesday class! Please have a look at the DirectGov website for more details ().